Libby Lisgo MBE has lived and worked in North Taunton for the last 25 years. She has been a Taunton Deane Borough Councillor for the area since 1995, apart from 2007-2011. 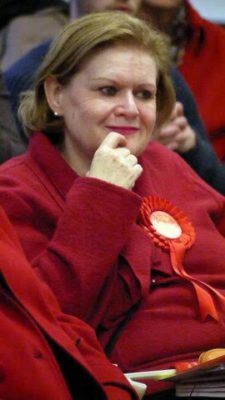 She has been Leader of the Labour Group, Parliamentary Candidate for Taunton and in 2013-14 she was Mayor of Taunton Deane. Libby represents the Lyngford Ward on Taunton Deane and sits on the Scrutiny committees.